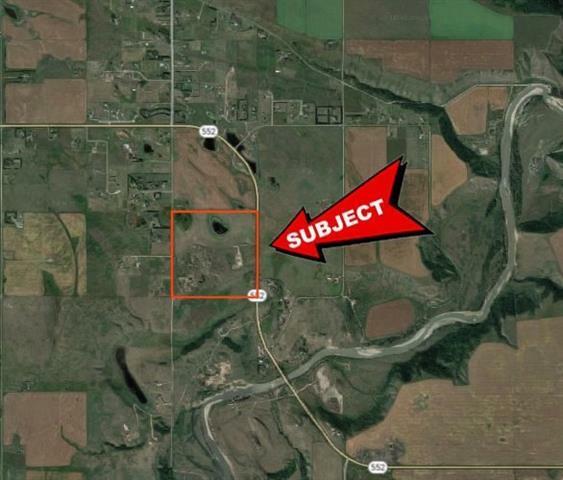 Land Opportunity for the right buyer... good access to Community and School facilities, Okotoks and the City of Calgary on Hwy #552 East, this 156.117 acre property comprises approximately 54 acres of flat cultivated crop land with the balance being rolling terrain sloping to the south and southeast overlooking the Highwood River valley. 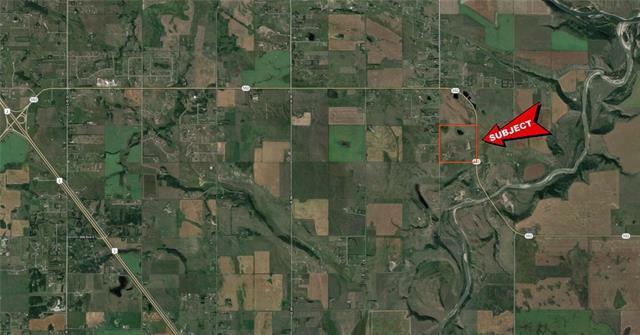 The upper southwesterly portion contains the remnants of a previous sand and gravel pit mining operation. There are no permanent structures on the Property and it has not been remediated. The Property is offered for sale as land only in as is, where is condition without any Representations nor Warranties by the Seller. 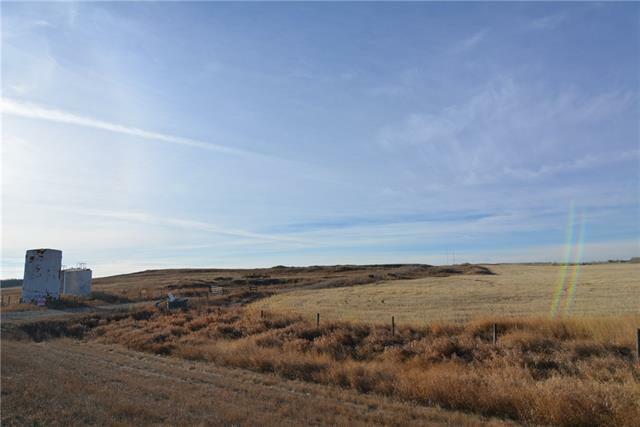 It is zoned INR however please check with the MD of Foothills for variety of uses that you may be interested in. 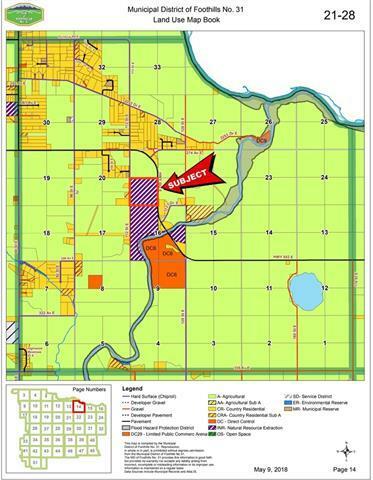 Limited access to property. Please do not enter without permission. See locator maps and photos attached. See photos and Aerial Virtual Tour Video for detailed look at the property.